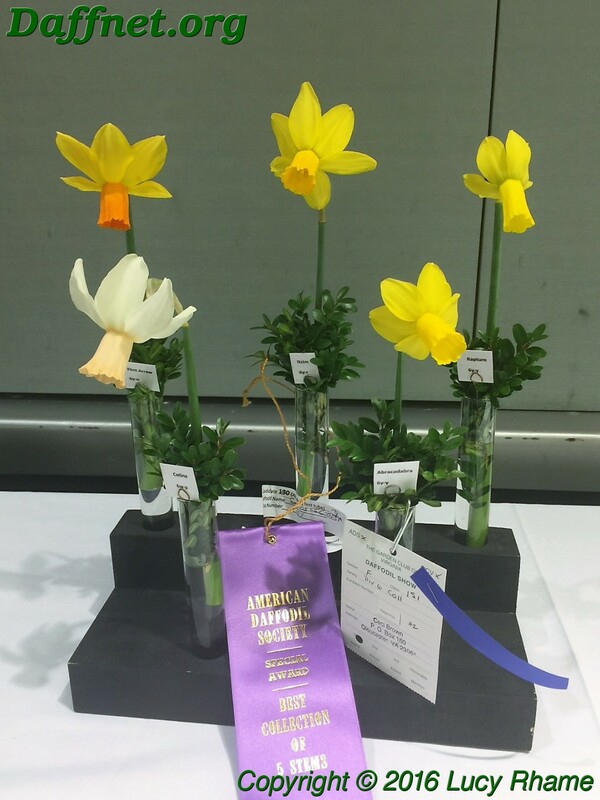 The 82nd annual Garden Club of Virginia Daffodil Show was held March 30-31, 2016, at the Hampton Roads Convention Center in Hampton, VA. 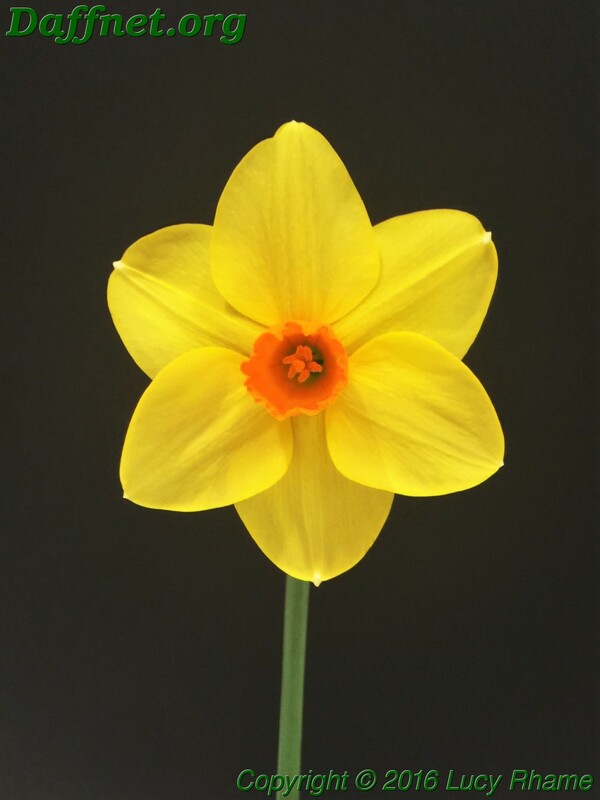 Thanks to an early spring there were 1803 stems in horticulture in 871 entries by 121 exhibitors. The Gold Ribbon was awarded to a stem of ‘Jamore’ entered by Kate Carney. The Purple Ribbon was won by Ceci Brown. Photos were supplied by Lucy Rhame. Congratulations on your beautiful collection of division 6’s. What is the pink cupped one ? Larry, the collection was entered by Ceci Brown, so the praise goes to her. 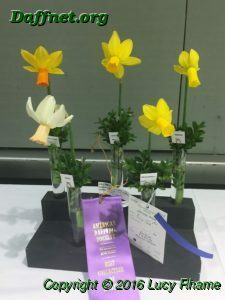 (She also won the Silver Ribbon at the show.) The 6W-P is ‘Cotinga’.